Kahuel volunteered to sail away on his brother’s Galleon to get away from a roguish past, and prove his worth as a prince. The last thing he expects on this virgin land are tragedy, natives, or scheming Mutants. Talina never saw a foreigner, until destiny brings to her shores baffling strangers who can’t read minds… among them a prince, and the Lost Daughter of the prophecy. Her fate is about to change, but the Star People protecting her clan view the outsiders as a threat to their crucial experiment. 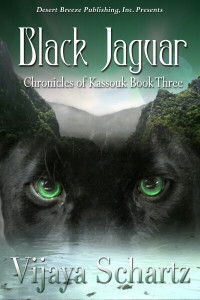 Can Kahuel, with a few warriors and felines, save Talina and her people from a horrible fate?